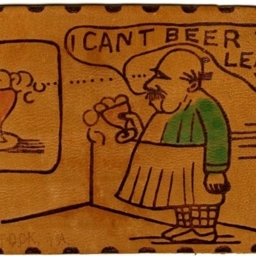 Postcard with a comical saying "I Can't Beer to Leave You." The card is stamped with, and sent from, Woodstock Virginia. 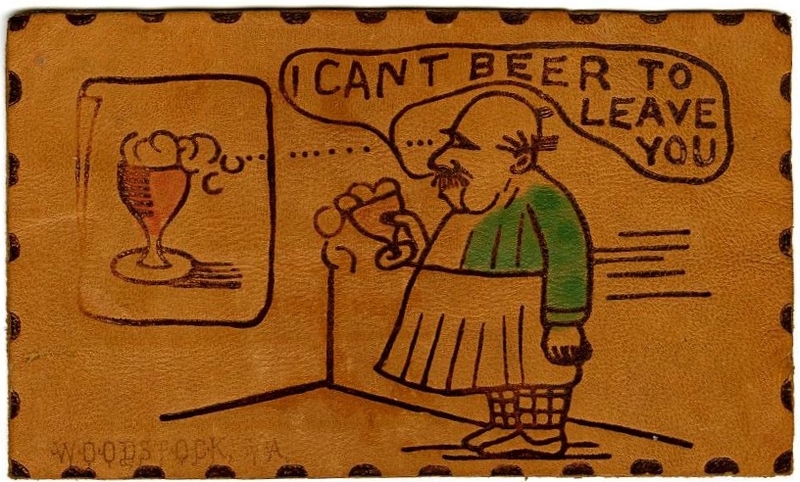 Unknown, “"I Cant Beer to Leave You" Postcard,” Shenandoah County Library Archives, accessed April 19, 2019, http://archives.countylib.org/items/show/5186.